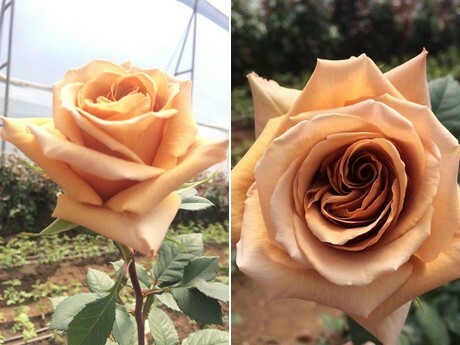 In the next edition of the ESSEN show, January 22nd to 25th, BellaRosa and Rose Connection will introduce to its customers and visitors the Toffee-BB variety, exclusive of a group of 5 Ecuadorian farms. This variety belongs to BrownBreeding BB, Ecuadorian breeder. 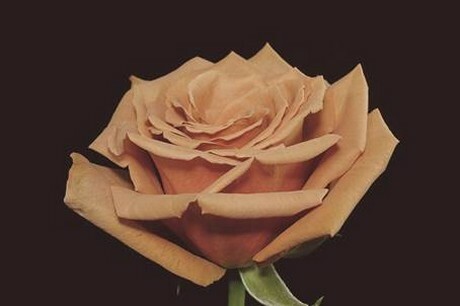 According to records provided by José Gomez, Breeder Manager, this variety came from a crossing made in 2010; its breeder was Santiago Brown, who today is a board member and shareholder of the company. The first flowering was observed on January 31, 2012 (7 years ago), a button of 5cm was recorded, with 55 petals and 58cm stem length, it was as well as it went on to the next evaluation phase where it was given the denomination BBWMA. The commercial name of Toffee-BB was assigned by Productnorte who was also the first producer to have the variety. 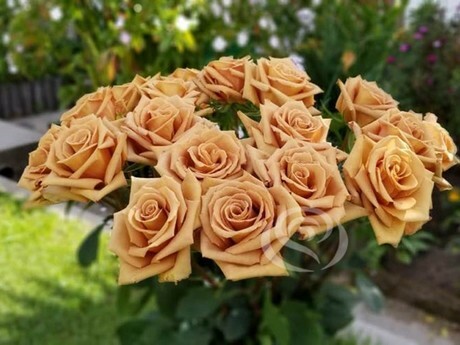 Toffee-BB is in production at BellaRosa and Rose Connection since January 2019, registering a button diameter of 5.5 on average, 14 days of vase life simulation durability, 32 petals and a stem length between 50 and 70 cms. According to the description given by Gonzalo Luzuriaga, Executive President of both companies and also of the Breeder, this variety is "anarchic" in its behavior since its buttons differ somewhat from one another, in shape, tonality and opening mainly, which makes it difficult to define it and parametrize it, but at the same time that's why its charm and magic lies, its color Golden Bronze marks a new concept in the hybridization of roses, reaching a tone never achieved before in nature. BellaRosa-Rose Connection, Ecoroses, Hoja Verde, Productnorte and Sisapamba are the companies that have their exclusivity worldwide. It is expected that Toffee-BB will set trends in consumer tastes, during this year 2019.